Collect the complete -- and completely marvelous! -- Bink and Gollie series in a boxed set bonanza. Whether exploring the wonders of the state fair, attempting to set a world record, or just relaxing with some pancakes and peanut butter, Bink and Gollie are irresistibly witty, imaginative, and adventurous -- just the sort of friends young readers love. Now, in a boxed set, kids can savor all of their outrageously funny escapades, created by the brilliant pairing of authors Kate DiCamillo and Alison McGhee with illustrator Tony Fucile. 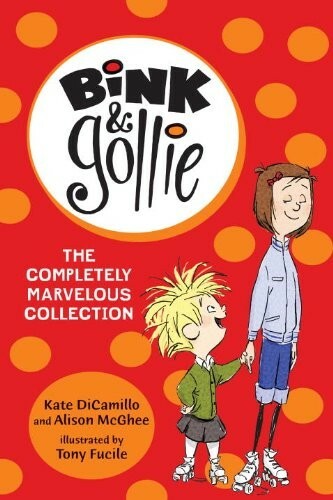 Featured are paperback editions of Bink & Gollie, Bink & Gollie: Two for One, and Bink & Gollie: Best Friends Forever.